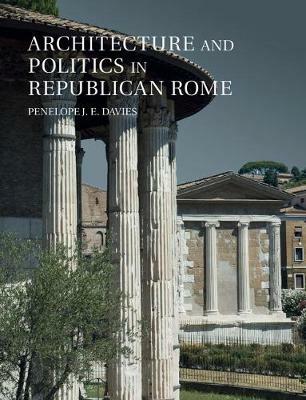 Author(s) Davies, Penelope J. E.
Architecture and Politics in Republican Rome is the first book to explore the intersection between Roman Republican building practices and politics (c.509-44 BCE). At the start of the period, architectural commissions were carefully controlled by the political system; by the end, buildings were so widely exploited and so rhetorically powerful that Cassius Dio cited abuse of visual culture among the reasons that propelled Julius Caesar's colleagues to murder him in order to safeguard the Republic. In an engaging and wide-ranging text, Penelope J. E. Davies traces the journey between these two points, as politicians developed strategies to manoeuver within the system's constraints. She also explores the urban development and image of Rome, setting out formal aspects of different types of architecture and technological advances such as the mastery of concrete. Elucidating a rich corpus of buildings that have been poorly understand, Davies demonstrates that Republican architecture was much more than a formal precursor to that of imperial Rome.